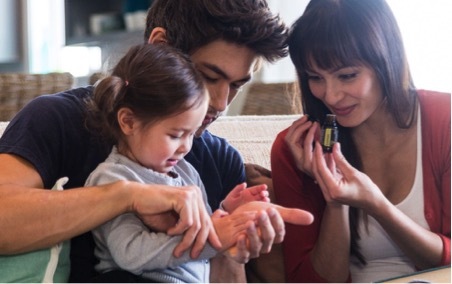 I asked Melinda, an essential oil educator, to tell us a little about how you can use essentials oils to help your family on a day to day basis. We want perfect photos! One simple trick for calming a fussy baby and securing that winning shot. As new mums, we cherish the new born phase and know how quickly that time passes. Photography is a beautiful way to capture those first few months. But on some days its seems impossible just to get our own hair brushed before noon, let alone get our baby organized for a photo shoot. And should we manage to arrive with clean baby in hand, the inevitable is bound to happen; our little one is all fuss and tears as soon as the camera comes out. A little bit of lavender essential oil. One of the many benefits of Lavender is its calming properties. Lavender oil has been used for centuries to soothe skin, ease feelings of tension, and promote a relaxing atmosphere. Add a few drops to a spray bottle with water and mist the room to promote feelings of calm. You might also try diluting a drop of Lavender with coconut oil for a soothing massage. With proper dilution, Lavender can be a swift solution to an anxious baby, with the result being that tranquil baby pose we are hoping for! As an essential oil educator I help mums discover simple solutions to make the day as easy as possible. Essential oils can be a powerful tool for a new mum to help her be ready for the hiccups and surprises of motherhood. 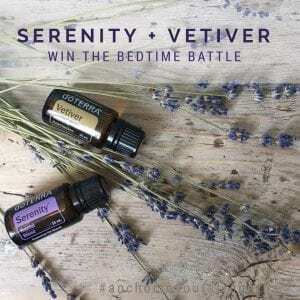 From helping a little one drift off to sleep, comforting a colicky tummy, soothing a little bum, or helping mum with a bit of self-care, essential oils are a safe, clean, organic means of caring for our children and ourselves. We all know what we put ON our bodies can end up IN our bodies. This makes the decision of what we use with our families all the more important. Mums are looking for support for their homes. They want clean. They want organic. But they also want results! Essential oils are powerful and empower mums to take care of their families in a gentle, pure, and natural way. When beginning to use essential oils with your family the first thing to do is consider safety. If you are pregnant, nursing, or taking medication please consult a doctor before starting any healthcare supplements or wellness products. When applying oils to children always dilute your essential oils with a carrier oil. A carrier oil will protect the skin and assist absorption. I prefer fractionated coconut, jojoba oil, and argan oil. For young children a dilution of just 0.5- 1.0% is adequate. Secondly you want to consider brand. Not all oils are created equal. This is an area where you get what you pay for. Pick a company that has a reputation of quality, follows food and supplement standards, offers transparent batch test results where you can verify the quality of your bottle, follows sustainable farming practices and pays fair wages, and provides support and education. Next, will be to consider what essential oils you want. There are a few basics good to have on hand, so you can be prepared for whatever may arise at home. If you have a specific wellness concern, you may need some specialty oils. Lavender Known for it’s calming properties, it’s perfect for the nursery or infant massage. Melaleuca Also called tea tree, Melaleuca is renowned for its cleansing and rejuvenating effect on the skin. It promotes healthy immune function and protects against environmental and seasonal threats. For occasional skin irritations, apply one drop onto the affected area. Ginger, Fennel, or Cardamom These oils are great for supporting digestion. Dilute and apply topically to the tummy or bottom of the feet, massaging gently. Frankincense Frankincense offers cellular support and is a good choice for rejuvenating skin. Perfect for little owies and infant massage. Dilute and apply topically. It’s also a great one for Mum to massage into stretch marks, irritated skin, or as a postpartum soothing spray. Wild Orange Citrus oils support a feeling of positivity. Take a drop in your hands and take a few deep breathes for an uplifting mood boost. I’ve used essential oils for myself and my family for nearly 10 years. We’ve incorporated then into our daily lives to support our physical and emotional health. If you’d like to learn more about essential oils, please accept this offer of a Wellness Consult with me where we will go over your essential oil needs. Just mention Hushabye Photography and your consult is not only completely FREE, but you will also receive a FREE customised essential oil sample based on your needs. Melinda Brecheisen lives in Tunbridge Wells with her husband and three children. She is the author of Anchor to Your Strengths, a book about using essential oils for personal development. She is also a public speaker and essential oil coach.